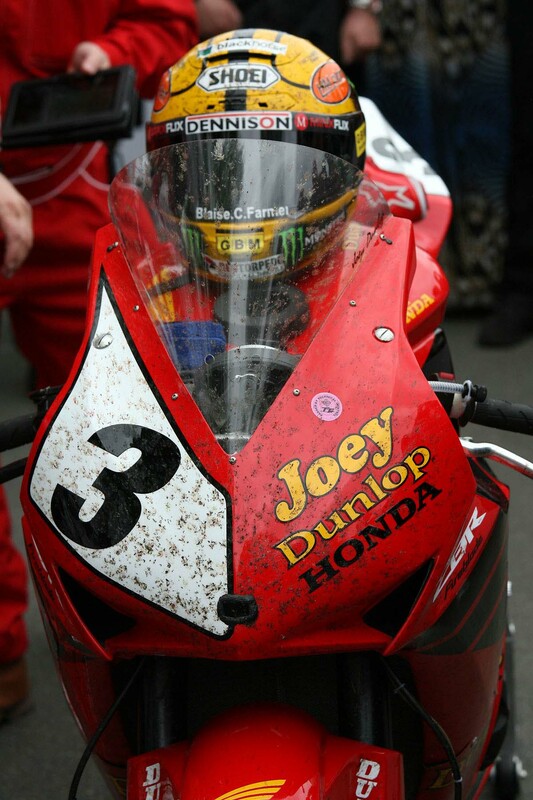 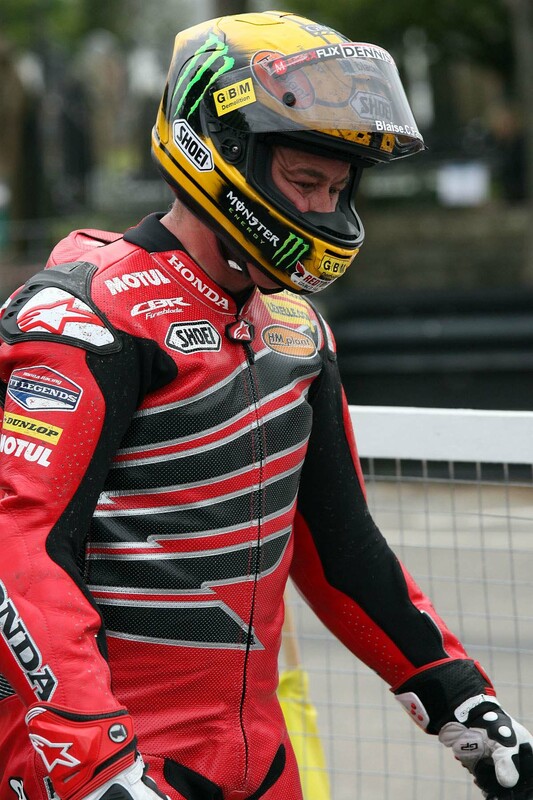 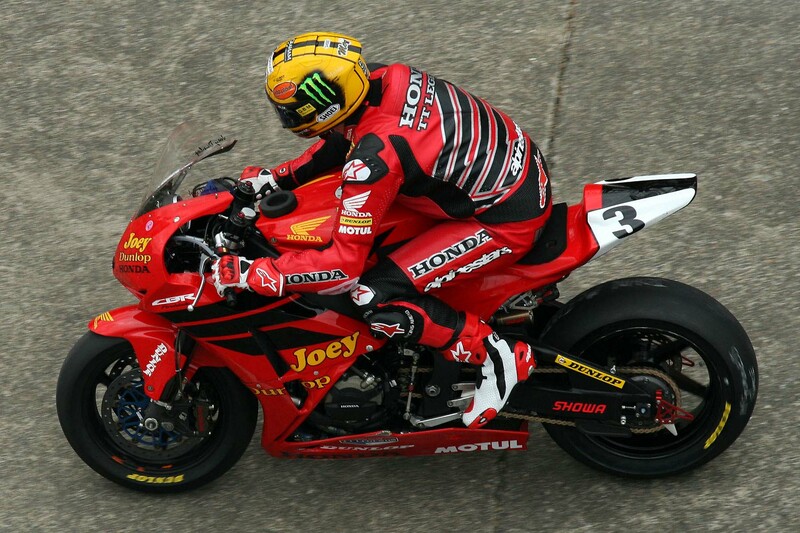 Marking the 30th anniversary of Joey Dunlop’s first Isle of Man TT win with Honda, John McGuinness raced Sunday’s Dainese Superbike TT race in the iconic rider’s racing livery. 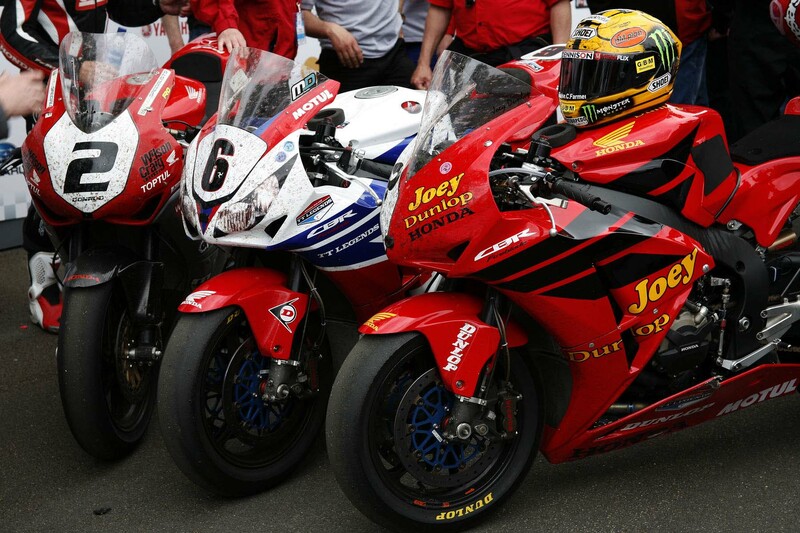 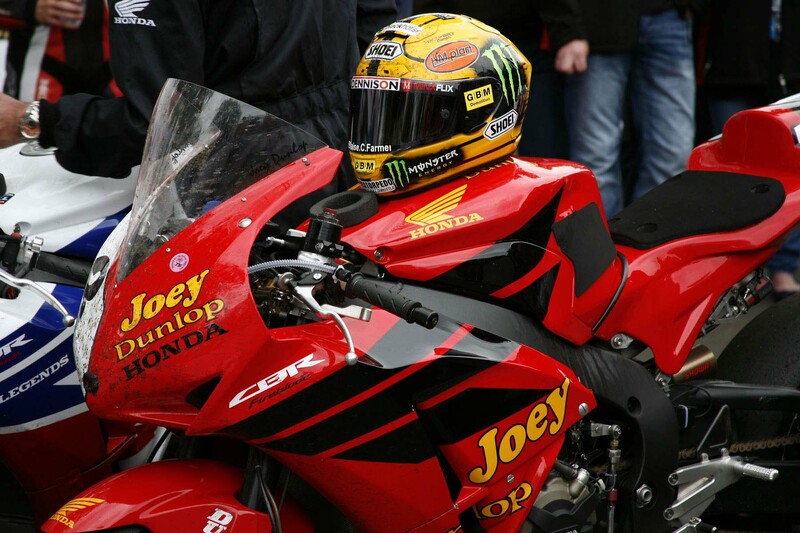 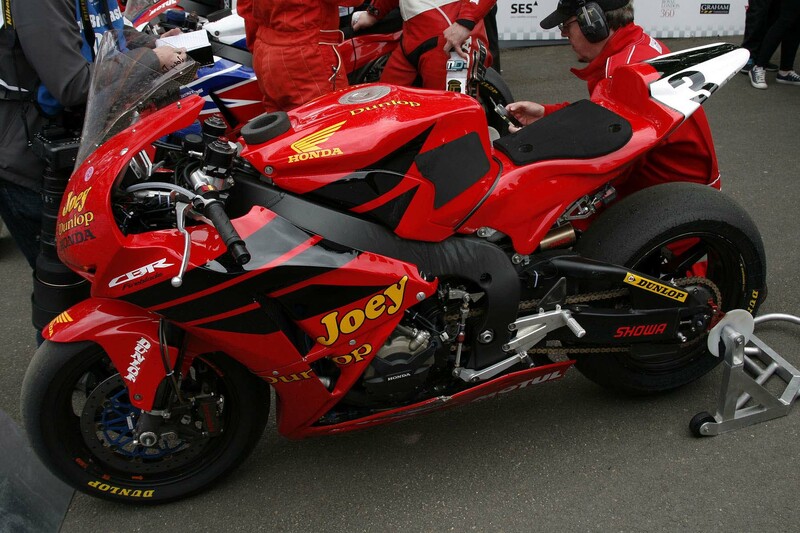 Joey’s colors (circa 2000, his last TT entry) proved to be good luck for Mr. McPint, as the 19-time-TT-winner set an outright race lap record during the Superbike TT. 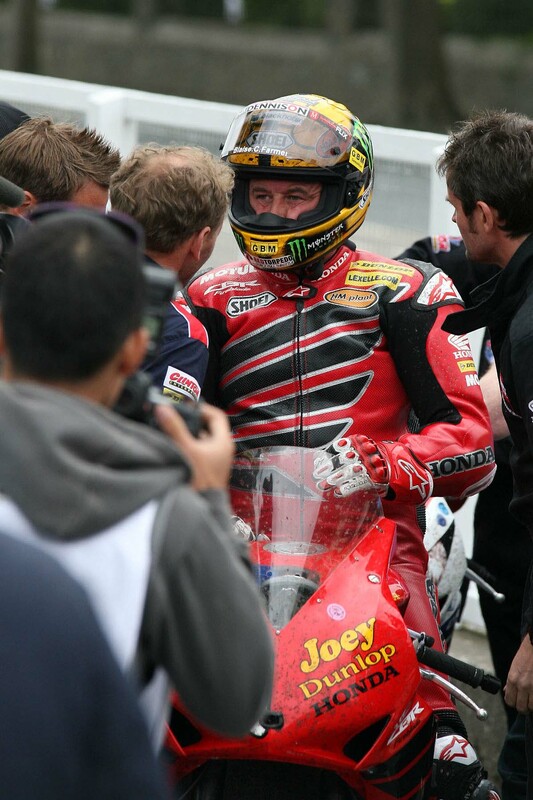 Slapped with a one-minute time penalty in the pit lane, McGuinness could only manage a third place podium in the race, but the Honda rider is working hard on catching Joey’s all-time win record of 26 Isle of Man TT wins. 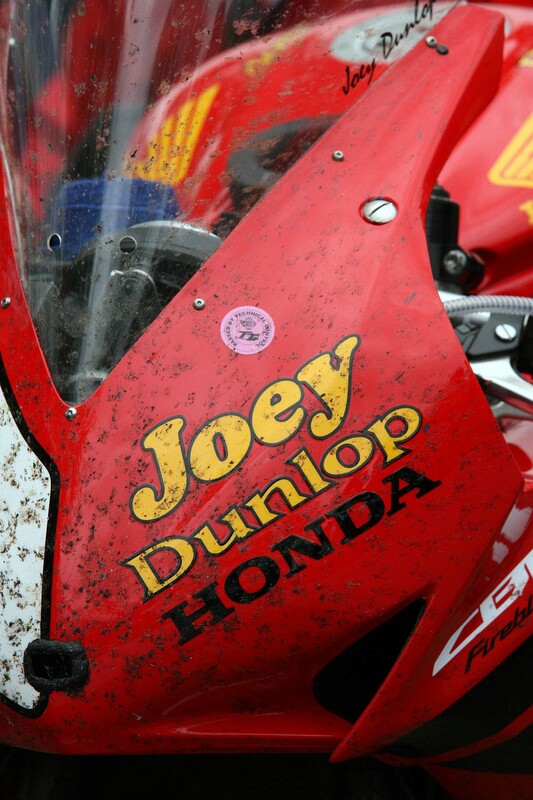 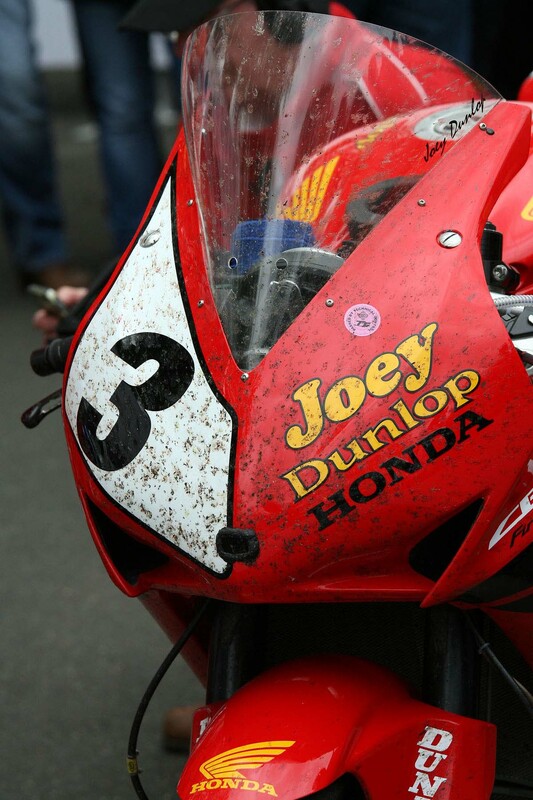 Fittingly, Joey’s nephew Michael won the Superbike TT race, setting a race time record in the process as well.